Noticeboard « Central Australian Art Society Inc. If you have information about the art world that you would like us to help you share, send it to us (see “Contact Us” page) and we will try to accommodate you if we believe it is relevant to artists of Central Australia. Be sure to include a return email (& phone?) contact. …botanical, landscape, fantasy, with watercolour, oil, acrylic, ink, oil pastel. ‘The Residency‘ is on the corner of Hartley St and Parsons St, next to the Post Office. ‘New Views’ Exhibition opening this Friday! 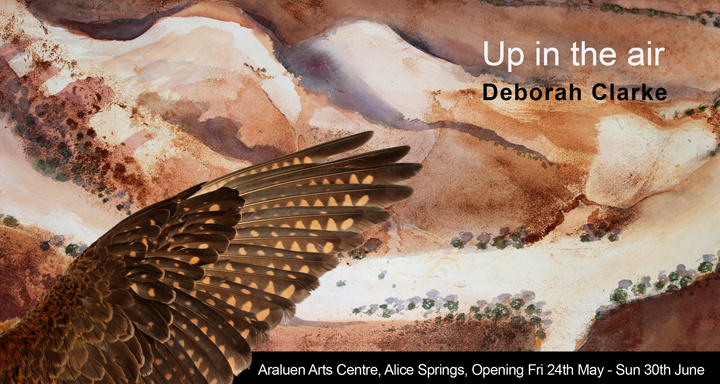 You are invited to the Opening at Araluen 6pm Friday 4th April 2014 to our President Ron Talbot’s exhibition. The ancient terrain around Alice Springs changes very slowly: once an inland sea, it has taken countless millions of years of sedimentary deposit, tectonic upheaval and relentless erosion to form the essence of the landforms we see around us. These constant changes are imperceptible to the human eye because they occur over lifetimes, not years or months. What does change over the course of a lifetime though, is a viewer’s own personal perception based on learning (or unlearning) to comprehend visual stimuli based on a particular point of view. Ron’s 2010 solo exhibition East to West also at Araluen Arts Centre presented his own unique way of seeing key areas of beauty along the MacDonnell Ranges. 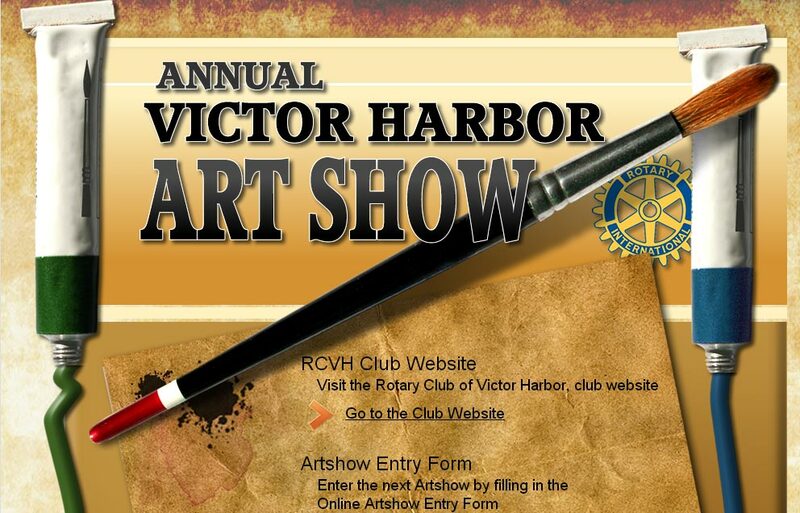 Four years later Ron is excited to present an exhibition of paintings that re-visit many of the same scenes. 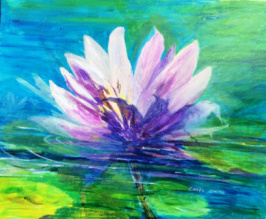 As an emerging artist Ron delights in the opportunity to experiment, change and grow through the practice of painting. His latest body of work realises an emphasis on intuitive, gestural representation of the landscape and the interplay between the observable outside world and the intangible, interior and emotive aspects of relating to a place. New Views then, will provide a colourful, dynamic, expressive counterpoint to Ron’s previous solo exhibition at Araluen and will stand as testament to the fluid nature of his developing art practice. 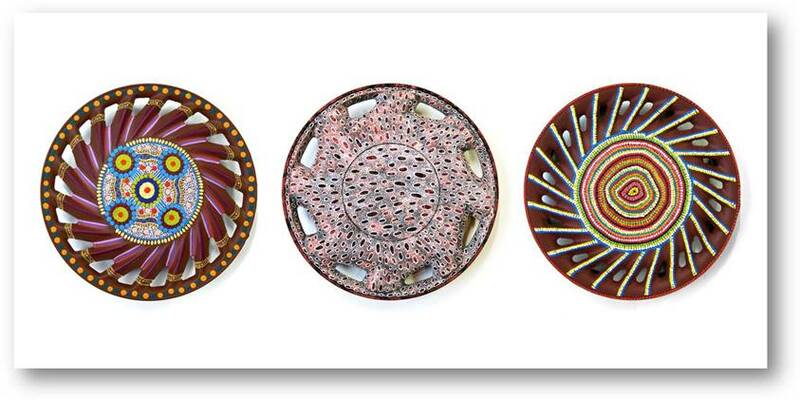 This workshop is being delivered by our member Carol Adams in conjunction with Central Craft, Alice Springs. The workshops are designed for beginners with no previous experience or those wishing to revisit the basics. 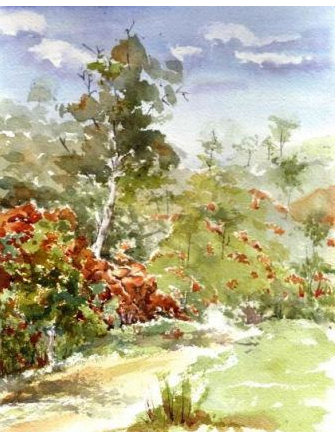 You will be introduced to simple colour, perspective and composition theory and learn how to understand and manage the materials and the medium to create your own landscape paintings. Numbers are limited so please enrol early to ensure a spot. Please do this directly by referring to Carol’s blog (link here) for further information. The Art Show claims to be Australia’s largest outdoor art exhibition. We are holding three copies of the entry form if you prefer. Call Mark on 0428 478 143 to arrange a convenient time to collect at the Art Shed. 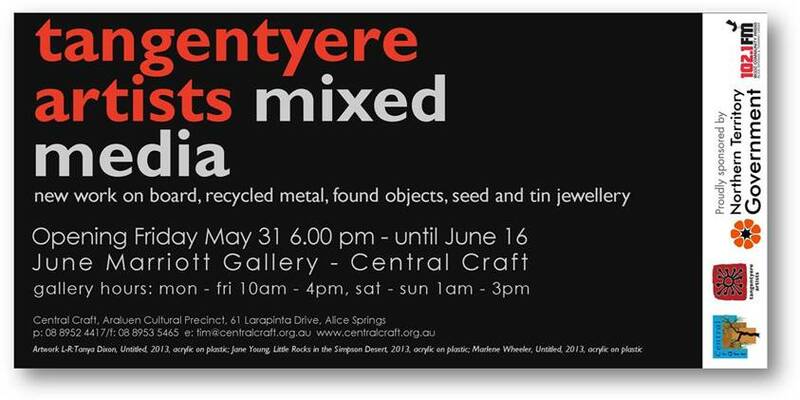 Join us for the opening of the Tangentyere Artists Mixed Media exhibition on Friday May 31st, 6PM. Featuring wonderful new works on board, recycled metal, found objects, seed and tin jewellery. 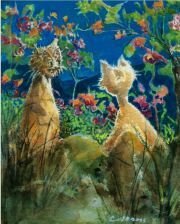 The exhibition runs until June 16. June Marriott Gallery – Central Craft. All welcome. This workshop has commenced and is full. If you would like to add your name to a waiting list for future workshops, use the link below. CAAS member, Carol Adams, is leading the workshop. Click on the link for details. Do you have an interesting history or face and want to share this with everyone? 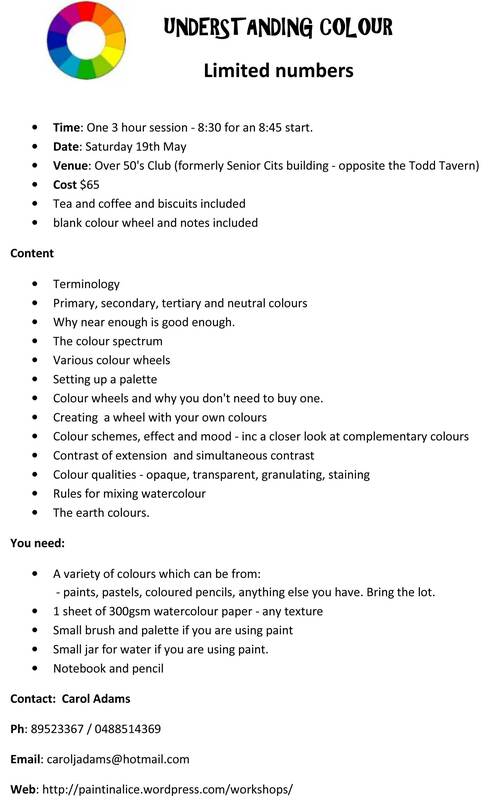 Are you interested in being painted as part of the Portrait of a Senior Territorian? Are you an artist who wants to be involved in recording the history of the Territory?